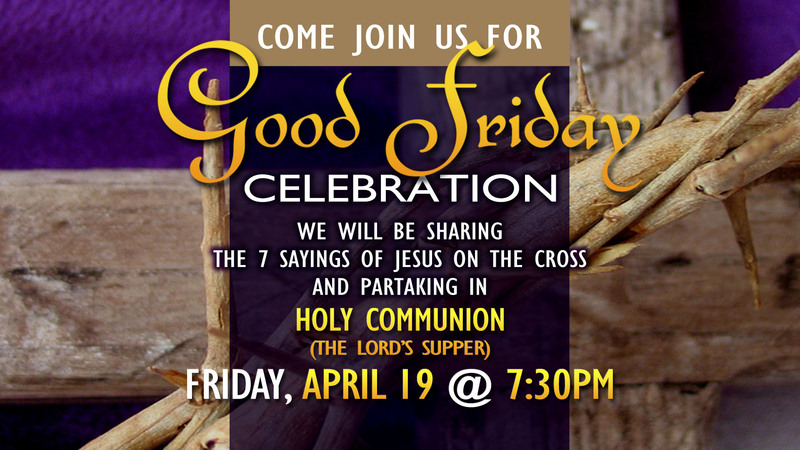 Join us on FRIDAY, APRIL 19th at 7:30pm for our Good Friday Celebration. We will be sharing the 7 Sayings of Jesus on the Cross. We will also be partaking in Holy Communion. It will be a time of reflection for the entire family. Invite a friend!